John Snow just informed me of a site that provides great information on personal budgeting. 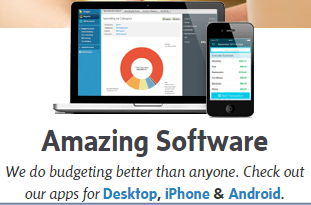 It provides a budgeting method, an app that can run on most any device, and free live classes. Now, nothing in this world is free. The application costs $60. But there is an evaluation period if you want to try out the software. More important than the software is to simply browse the site to see if there is anything you can learn to help you improve your budgeting skills. Browsing is free. I like things that are free. Click here to access this site. Thank you, John, for this valuable information.